There are many ways to discover the wonders of Morocco, and a cycling holiday gives you a perspective unlike any other. Travelling using pedal power on the open road gives you an amazing sense of freedom and adventure. It’s also a great way to indulge in ‘slow travel’ as cycling in Morocco gives you the time to absorb every detail of your holiday and create many unique memories. Travelling by bike means you spend far more time interacting with the people, the land and the places, than you would were you using a car and a plane. Roads are generally good, and Moroccans are famed for their warm welcome to travellers. 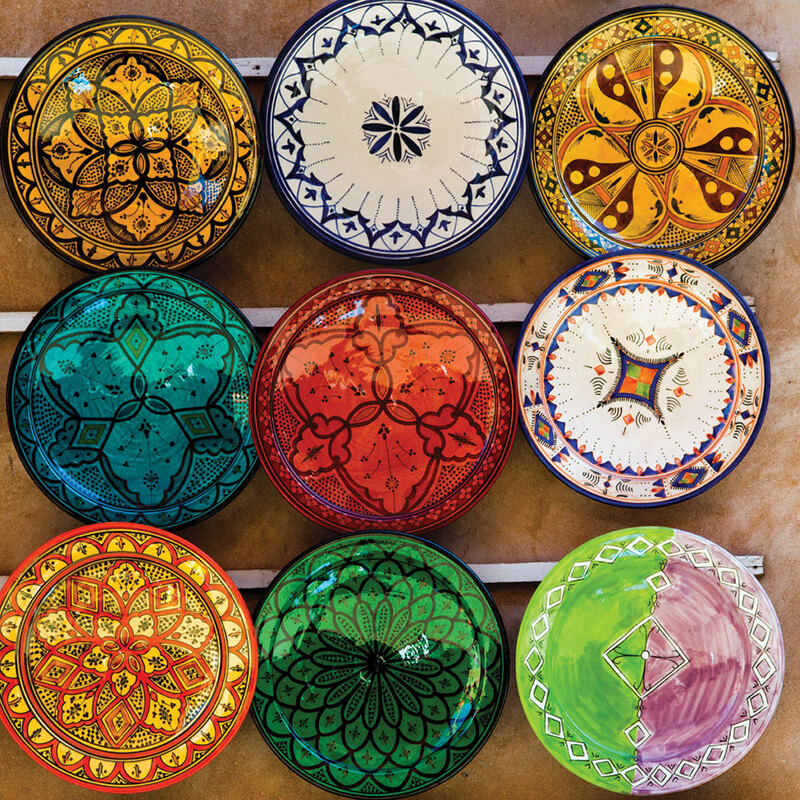 Supplies can be picked up at most towns and villages, and there is an extensive network of riads, hostels and hotels across Morocco, so there will always be a place available to rest your head. You have two main options when choosing a cycling holiday in Morocco. The first is to make your own way, seeing where the breeze takes you. This is for the truly adventurous in spirit, one day you may be riding through stepped villages in the mountains, the next past lakes full of bright flamingos. It’s truly exhilarating not knowing what you’ll discover around the next corner! 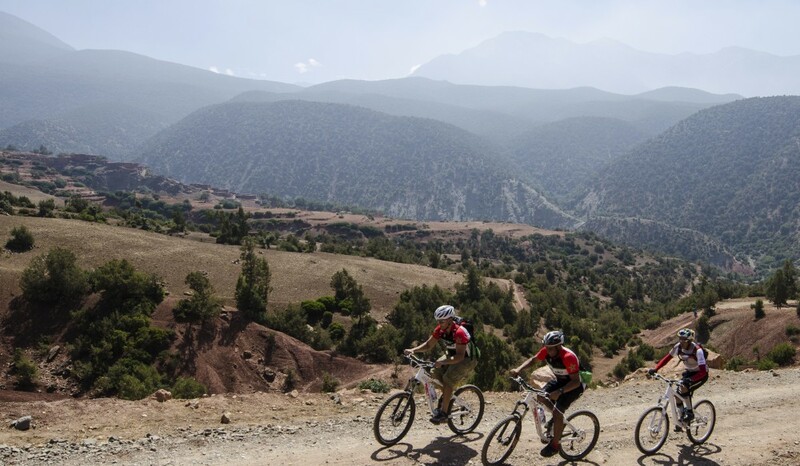 Alternatively, take advantage of one of the many companies who provide cycling tours to Morocco. They arrange everything from flights to bike hire and accommodation, and ensure you enjoy the best sights on your journey. Experienced local guides lead your party and mechanical experts will be on hand to take care of your bike, keeping it in tip-top condition. There are excellent routes wherever you cycle in Morocco. Fly in to Marrakech and take a tour of the south, through the High Atlas mountains via the snaking Tizi n Test pass. See the stunning Tin Mal Mosque and the sublime Dades Valley. Ride through desert villages, see the evocative Kasbahs, and enter the Sahara for an unforgettable experience. Or take a ride along Morocco’s Atlantic coast for stunning seascapes, beautiful sunsets and a series of towns and cities that vary from surfing hotspots to ancient trading posts and modern holiday resorts. Many of the places you will encounter have international airports from which flights go directly to the UK, so you have plenty of choice when it comes to where you start and end your tour. Wherever you choose to go, however you decide to do it, cycling in Morocco will leave you breathless in the best possible way.